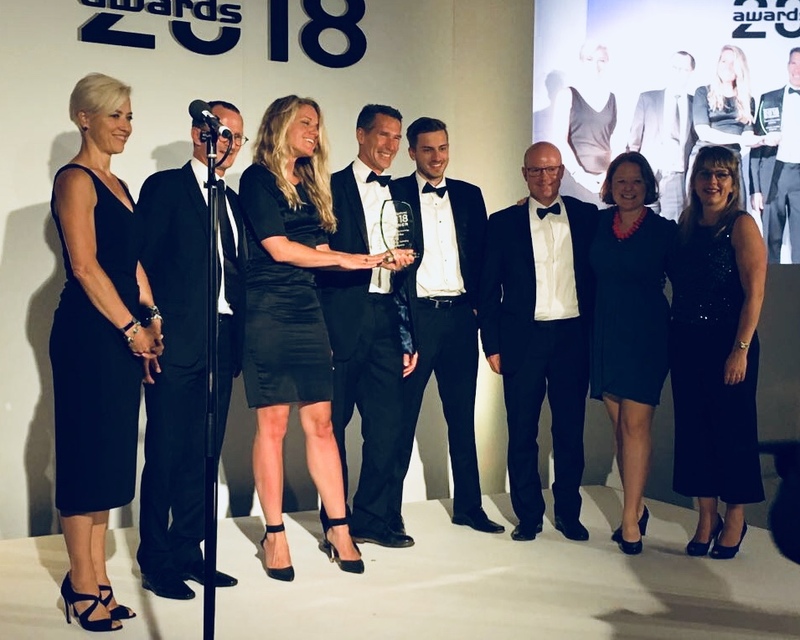 Alongside Ingenico, we’re honored to announce that we were awarded “Partnership of the Year” from Retail Systems at their yearly ceremony held on June 27th. The prestigious Retail Systems Awards took place at the Waldorf Hotel in central London and was hosted by UK-based comedian Kerry Goldiman. Retail Systems is a leading business publication that recognizes technology excellence and innovation across the retail sector each year. We partnered with Ingenico to integrate our customer engagement application into their payment solution with the aim to create the ultimate point of interaction with customers. The integration has proven indispensable to JD Sports, a leading sports fashion retailer, who has amassed tens of millions of customer ratings since launch. Our integration into Ingenico’s platform has radically changed the way retailers do business and we’re happy to be recognized by Retail Systems for our efforts. Our team, including CEO and founder, Georgina Nelson, were in attendance at the ceremony, and happily accepted the award alongside our partners. A harmonious “BOOM!” was heard, champagne was had and then we got back to work. Previous FSR Magazine: Can Real-Time Feedback Shape the Future of Full-Service Restaurants?